Lately, the weather has been crazy. Last week, I was trapped in St. Anne’s chapel due to the rain. 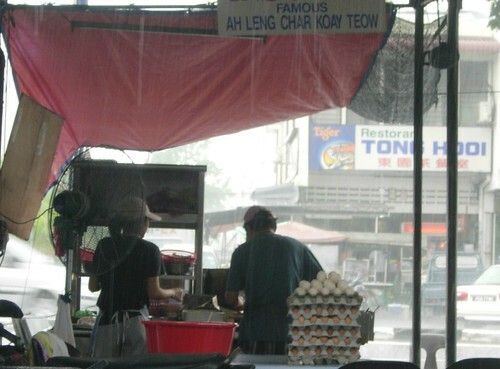 Today, I was trapped at a char koay teow stall due to the rain again. But at least CKT stall is much yummy than errr.. ok.
We went to Ah Leng’s char koay teow to eat and also to view some second-hand cars. But the friggin’ rain came down like no tomorrow so we did not manage to view any cars. Instead, we were stucked in Ah Leng. Ahhh…Oh kau. And I thought of AhPek. It is funny, isn’t it? Not like I know AhPek in real life except for the single meet at the Together Gather bloggers party. But I guess once a blogger, you tend to stick together. Next Next post: Bloggers ‘r’ beruk! Oi, u make me wanna !!! Wei, that one ohkau ice! 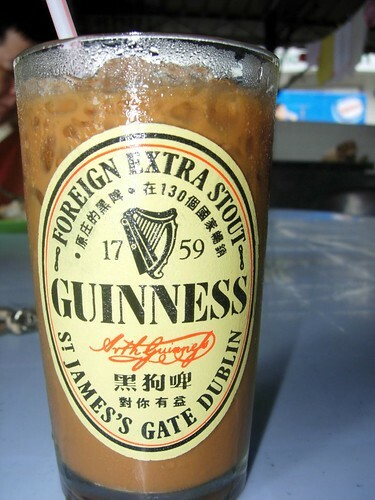 I never try before, where got sell ah? CKT… How I miss uuuuuu…. 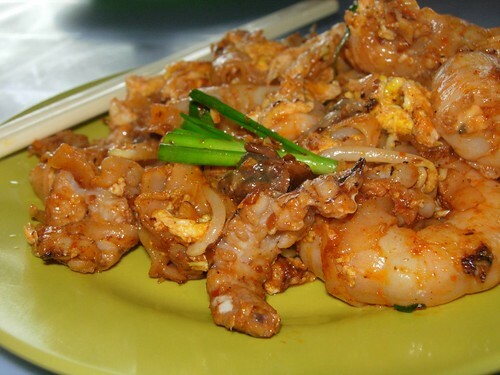 staring at the juicy prawns =D…..
telima kasi….now my big c will scold me cos i will walk out and show him this(CKT) pic….now i want this okay? heheheh now already near to 11pm! U good ahh…purposely snapped on that big prawn!! My stomach makin noise now..
Ai ya..! you no good lar.. now I’m alone in the office and I see the prawn is calling me already. God… i got to go to eat liao.